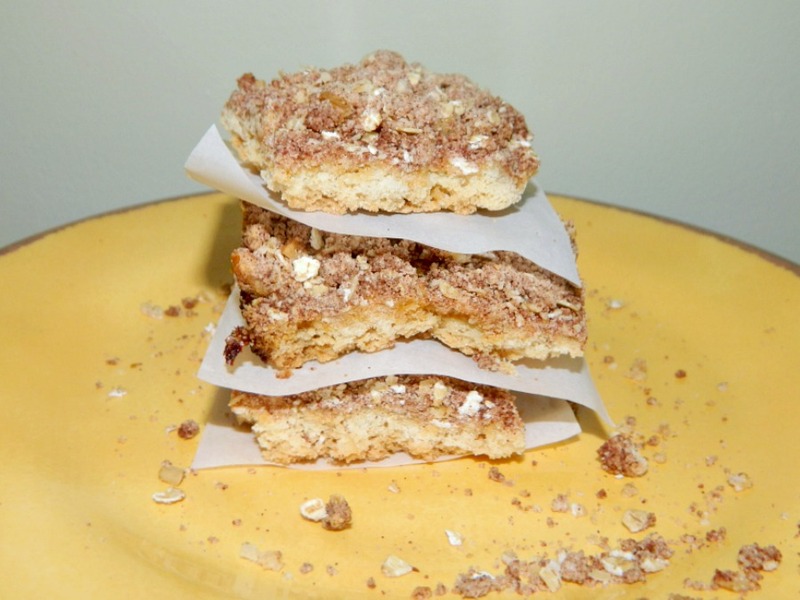 For a really easy recipe that uses a gluten free cake mix, stop here and check out these fabulous crumb cake bars. Everyone who eats them loves them. It’s hard to stop at one! Bake a batch today and enjoy every crumbly bite! Years ago when I lived in Atlanta, there was this great coffee shop in my neighborhood. They sold these delicious mini crumb cakes wrapped individually. My neighbor and I used to go on Sundays to get our coffee and a mini crumb cake. I had been thinking about those days and the cute little crumb cakes we so enjoyed. Today was the day to recreate them! I used a gf cake mix which I had sitting around in my pantry and wanted to use it before the expiration date. I added a few pantry ingredients for the most delicious crumb cake. 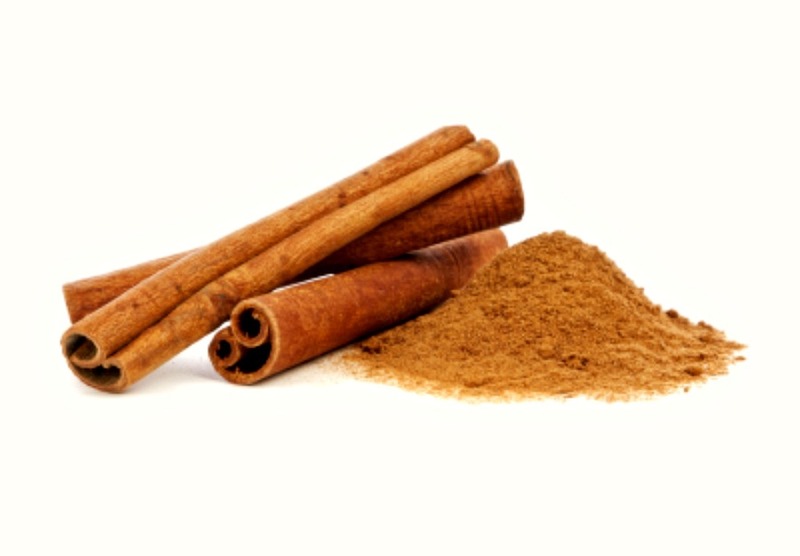 The cinnamon is just what these needed to make them extra special along with some oats. Gives a great texture. Got the thumbs up from my family too. They are my hardest critics. They sure are not shy about telling me they do not like something. They happened to love these. If I must say so myself, they are so yummy and love how easy the recipe is. Bake some up soon and watch them disappear really fast. 2 tbsp all natural fruit spread, such as strawberry, peach, or nectarine. Preheat oven to 350 degrees. Mist the bottom of an 8 or 9 inch glass or nonstick square pan. Set aside. In a medium bowl, combine the cake mix along with the 1/4 cup of butter and vanilla extract. Using a pastry blender, mix until crumbly. I wash my hands well with cool water and do it that way. I think it`works better. Reserve 1 cup of the mixture for the topping. Now press the rest into the prepared baking pan. Make sure it’s level. Bake about 15 minutes. In the meantime, mix the oats, cinnamon, walnuts and melted butter along with the reserved crumb mixture. Take the crust out of the oven and spread the fruit on top. Now, sprinkle the crumb mixture over that. Place back in the oven and bake for about 25 to 30 minutes. Take out of the oven and place on a cooling rack for about 1 hour. Slice into 16 squares. 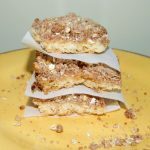 For a really easy recipe that uses a gluten free cake mix, stop here and check out these fabulous crumb cake bars. Everyone who eats them loves them. It's hard to stop at one! Bake a batch today and enjoy every crumbly bite! Preheat oven to 350 degrees. Mist the bottom of an 8 or 9 inch non stick square pan. Set aside. In a medium bowl, combine the cake mix along with the 1/4 cup of butter and vanilla extract. Using a pastry blender, mix all up until crumbly. I wash my hands well with cool water and do it that way. I think it`works better. Reserve 1 cup of the mixture for the topping. Now press the rest into the prepared baking pan. Make sure it’s level. Bake about 15 minutes. Take the crust out of the oven and spread the fruit on top. Again, evenly. Now sprinkle the crumb mixture over that. Place back in the oven and bake for about 25 to 30 minutes. Take out of the oven and place on a cooling rack for about 1 hour. Slice into 16 squares and enjoy!